Aroma and taste: A floral, sweet scent; instantly recognizable, although it has an added strong honey overtone and is deeper, more base-note-like, than the oil. If an azure summer sky at four p.m. had a smell, this would be it. The taste is very soapy-sweet, like eating dried lavender, and I find many people do not like the flavor unless it is sweetened or blended. Stability and Shelf Life: Quite stable. Usually lasts at least two years, frequently longer, although this may vary with growing conditions. The odor, if nothing else, may start to degrade after eighteen to twenty months. 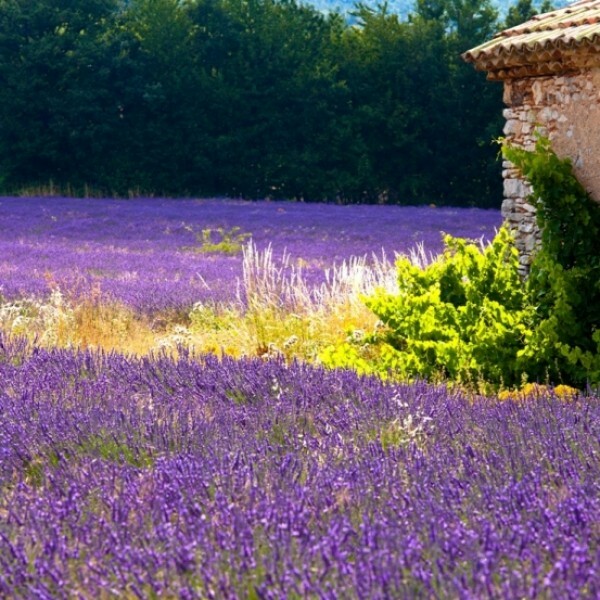 Lavender is rightly famed for its regenerative effects on damaged or fragile skin. Add it to masks with oatmeal for a remover and cleanser, applied with a cotton ball. Mist the face and neck throughout the day to combat excessively dry atmospheres. Spray skin both before and after shaving or hair removal to reduce inflammation, get a closer shave, and prevent ingrown hairs. Indispensable for skin care when travelling. Use it on the plane all over the body, including feet and legs; carry to warmer climes for calming sunburn, heat rash, sunstroke, rashes, bug bites, and itching. 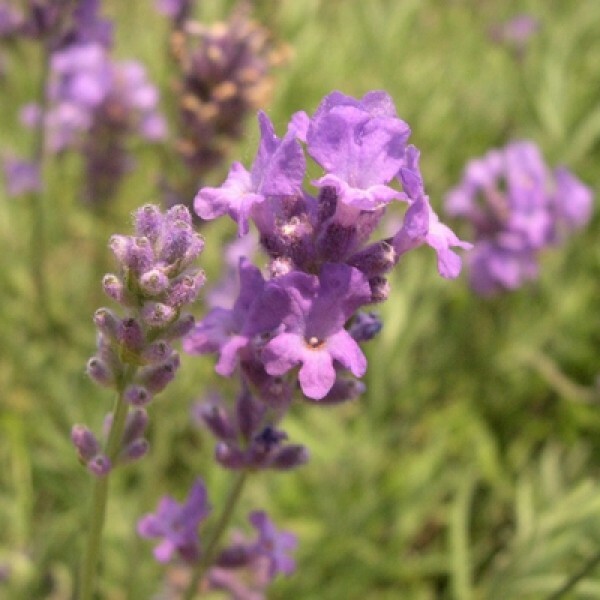 Its sweet and happy aroma makes lavender a natural for children. Use it to cleanse cuts and scrapes (for adults, too); a lavender kiss really “makes it better.” Use it to calm cranky moods and bring an end to tearful tantrums, and add it to bathwater or spray it directly on the bed for a restful night’s sleep. Calming and cooling to body, mind, and spirit, lavender makes a refreshing room spray for home or office or in the car to calm, cleanse, and refresh in traffic. Combine it with geranium, rose, or clary sage and use it hot or cold on the abdomen and back for cramps and PMS. Combine it with a little peppermint and sage and spray it all over for hot flashes, and try a sip of this combo before your next big meeting to “pull yourself together.” Use it in colonics to soothe irritated bowel. Use it undiluted in a compress on the neck, shoulders, and forehead for headaches, tension, and stress. Lavender smells better than it tastes, but it is traditional in desserts, cookies, and ices.